Your North Idaho dream! Beautiful home, 5+ acres, close to town, room for a shop…the features continue on this wonderful listing at 1508 W Dolan Road in Hayden. 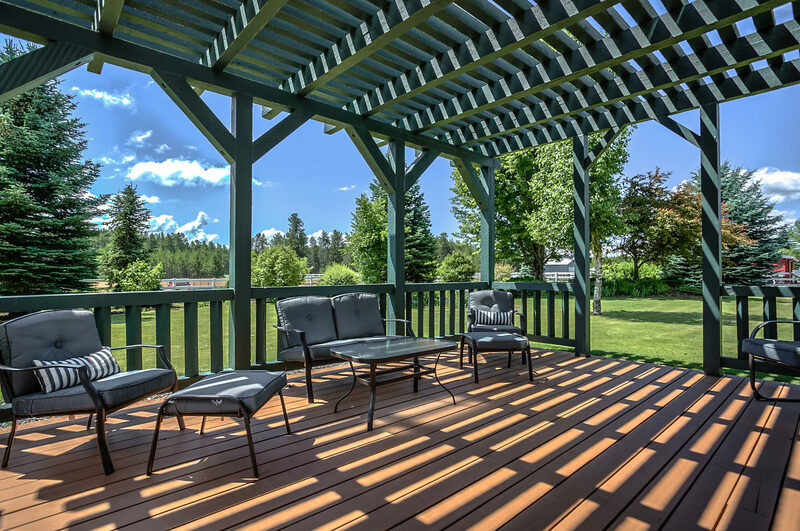 Beautiful acreage estate in Rathdrum’s Bar Circle S Ranch. This gorgeous home is set on over 5 well-maintained acres with a great mix of trees and open pasture for maximum privacy. Floorplan features wonderful details throughout the living room, dining room, family room & spacious kitchen with island. You’ll love gathering in the family room with floor-to-ceiling windows look out to the deck to the expansive estate.Arched entryways, TWO gas fireplaces & A/C. Master suite has french doors and a true en-suite with double sink vanity, soaking tub & separate shower. 4+ bedrooms. New radon mitigation system, newer roof (2013), 12′ x 20′ garden shed, 3 car garage, room for shop, horse facilities, RV parking. 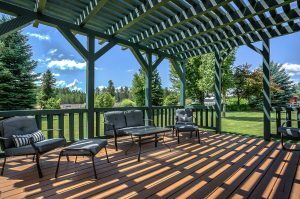 Live the North Idaho dream with this BEAUTIFUL home & property. 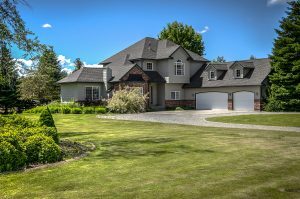 Neighboring homes are all acreage estates as well. For more information, see the full listing here. Call us at 208-661-4749 with any questions or to set a showing. What is the price of this property? Are there more photos of the house ?